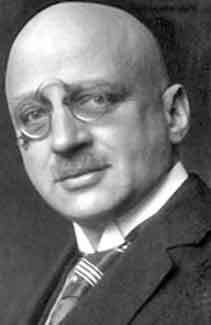 Even today, the evil legacy of Fritz Haber bedevils international law, the complex scientist who invented and then supervised the use of chemical warfare. His Jewish mother died giving birth to Haber in 1868. Haber then spent his life trying to hide his Jewish origins, converting to Catholicism and adopting all the mannerisms of a German scholar and gentleman, right down to the pince nez glasses. He also lived in a fascinating era of new scientific ideas, as his friend and fellow Jew, Albert Einstein was publishing revolutionary theories of relativity. But the mild-mannered "Dr. Jekyl" was turned into "Mr. Hyde" with the advent of World War I. While Einstein came out publicly against war, Haber was no pacifist. The chemist openly and proudly offered his position and laboratories at the prestigious Berlin University to the German war machine, rolled up his own sleeves and developed chemical weapons such as chlorine gas, nerve gas and tear gas. Haber's work led to the development of yet another poison: cyanide and the infamous Zyklon B. Soon, he was chief of Germany's Chemical Warfare Service, and he personally supervised his work on the fields of war. On April 22, 1914, Captain Haber was decked out in military uniform and on the German front lines at Ypres, Belgium, directing the first poison gas attack in military history, as 167 tons of chlorine blew across Flanders fields killing 1,000. 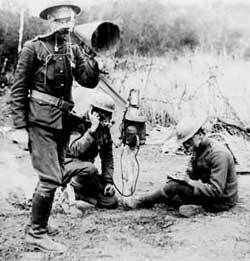 Two days later, with favorable winds, Haber's corps released more poison gas, this time killing 4,000 in one fell swoop. "Some (soldiers) got away in time, but many, alas, not understanding the new danger were not so fortunate and were overcome by the fumes and died poisoned. Among those who escaped, nearly all cough and spit blood, the chlorine attacking the mucous membrane. The dead were turned black at once … (The Germans) made no prisoners. Whenever they saw a soldier whom the fumes had not quite killed they snatched away his rifle … and advised him to lie down to die better." Some 92,000 soldiers died and over a million injured as a result of the use of nerve gas in World War I, a weapon that they could not defend against and which provoked cruel and painful death. Haber knew that the gas killed by burning through the throats and lungs of the victims. In essence, the intent of Haber's work was to indiscriminately kill soldiers like rats, all in the name of the German war effort. "To win the war, wage chemical warfare with conviction." "In peace for mankind, in war for the country." Haber's wife, a fellow Ph.d. in chemistry, Clara Immerwahr vehemently objected, calling Haber's work "an abomination of science and a sign of barbarism". When she realized that she could not convince her husband to stop his research, she killed herself on May 2, 1915 with her husband army pistol in their garden. Haber slept through it but the next day, he returned to the front to again supervise the deadly use of his new weapon against enemy soldiers. His next invention was maskenbrecher, a chemical agent that would first force the enemy soldiers to remove their mask. Then they would be tear gassed. This increased the death rate of his airborne chlorine solution. The French and British retaliated with the work of their own chemists such as Victor Guignard, as tens of thousands died, or were blinded or permanently handicapped as a result of the academic chess match between evil geniuses. After the war, the allies published a list of some 900 war criminals: Haber's name was prominent. Haber fled to Switzerland but the furor subsided during peace discussions. In 1918, Haber won the Nobel Prize in what has been called the most controversial award in its history. In acceptance speeches, neither the organizers nor Haber mentioned his chemical warfare work. In 1933, the wave of antisemitism overcame him. He was dramatically outed because of his Jewish ancestry and forced to flee Germany. He tried to travel to Israel but did not make it. He died, en route, in Basel, Switzerland in 1934. "... developed the process that could turn atmospheric nitrogen into fertilizer. Without it, the Earth wouldn’t be able to support its current population of more than 6 billion — not even half." Ironically, millions of Jews died inhaling Zyklon B in Nazi concentration camps, including many of Haber's relatives. His son Hermann committed suicide in 1946 but another, Lutz Haber published a book on chemical warfare in World War I, aptly entitled The Poisonous Cloud. Haber's scientific career occurred in an era when standards were different, with a world then mostly illiterate and only one generation removed from medieval life. His contemporary, the venerated Alfred Nobel made his fortune in patents for nitroglycerin and dynamite, which he then licensed to be used in weapons of mass destruction. Haber wanted desperately to be taken in by his adopted country, Germany and to some extent, his patriotic research actions can be understood. But he was not just a scientist. In his front line cheering at the death of tens of thousands upon the breath of his invention, he showed his psychopathy. Without any rule of international law, Fritz Haber was free to act as a ruthless killer. Today, the Treaty of Rome remains silent on the development of weapons which have the purpose of mass destruction. "... poison or poisoned weapons (or) employing asphyxiating, poisonous or other gases, and all analogous liquids, materials or devices." But this addresses only use, overt acts; not "scientific abomination" in a lab. In a world where war itself is still cherished as profoundly patriotic, Fritz Habers continue their work unabated in every country with nuclear or chemical weapons; cherished and well-paid by tax-payers and governments and still far from the wording and reach of the present International Criminal Court, still shying away from taking aim at the bespectacled, white-frocked, flag-waving chemists in the employ of War Inc.
Isaacson, W. Einstein - His Life and Universe (New York: Simon & Schuster, 2007). Stoltzenberg, D., Fritz Haber - Chemist, Nobel Laureate, German, Jew (Philadelphia: Chemical Heritage Press, 2004). "We're History", CEP Magazine, AiChe, February 2004.